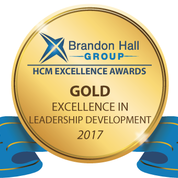 DENVER, September 15, 2017— Sodexo, world leader in Quality of Life services, and business mentoring software provider River, today announced their joint win of a Brandon Hall Group 2017 Gold Excellence in Leadership Development Award in the category of Best Advance in Coaching and Mentoring for Sodexo’s Spirit of Mentoring Program. This was the only gold winner in the coaching and mentoring category. Now in its fourteenth year, Spirit of Mentoring provides global, cross-cultural, cross-gender, and inclusive mentoring, offering a phenomenal example of how to successfully run, manage, and scale a global mentoring program. “By evolving this key talent development strategy over the years, we have been able to sustain our mentoring initiative and consistently realize a return on investment. 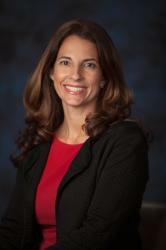 Participants appreciate having flexibility to co-create reciprocal relationships based on their unique needs,” says Jodi Davidson, Director of Diversity and Inclusion Initiatives at Sodexo. IMPACT:Sodexo’s acclaimed formal mentoring program that connects high-potential managers with senior leaders cross-culturally and across business lines in paired relationships that last 12 months. LEAD Mentoring Circles: A formal mentoring opportunity tied to leadership training, designed to accelerate the promotional rate for women and minorities with profit and loss responsibility in the U.S. LIFT: A formal mentoring program for frontline employees. Peer2Peer Mentoring:An informal mentoring program through Sodexo’s Employee Business Resource Groups (EBRGs). “Beyond these programs, Sodexo offers all employees access to River’s web-based mentoring platform for informal mentoring, where individuals can initiate one-to-one or group mentoring engagements,” says Laura Antal, Sr. Manager of Diversity & Inclusion Initiatives at Sodexo. Results from multiple areas of the Spirit of Mentoring initiative provide compelling evidence that helped this program win the sole gold award from Brandon Hall Group. For example, the IMPACT program showed a strong return on investment, with $2 saved for every $1 spent. The IMPACT program also reported a 10% increase in promotional rates for women in the program compared to the general managerial population, a 5% increase in promotional rates for minorities, and a 4% increase in promotional rates for women of color. The LIFT frontline employee program positively impacted retention, with 92% of participants staying with Sodexo. Roughly 75% of mentors in this program reported that mentees’ overall job performance improved as a result of the mentoring experience. “The results Sodexo achieved with Spirit of Mentoring is a testament to their vision, hard work, and dedication to bringing mentoring to employees at all levels, career points, and backgrounds. Sodexo is truly a beacon of what companies should strive for with their corporate mentoring programs. If you want to see a great example of how to do mentoring well, you need only look at what Sodexo does,” says Chris Browning, President of River. Sodexo and River are honored and thrilled to share this gold Brandon Hall Award recognizing their work and advancements in global business mentoring. River is a full-service mentoring solution, offering mentoring software, training, and consulting. Based in Denver, CO, they serve clients from a wide range of industries, including Fortune 500 companies, government agencies, SMB organizations, and non-profits. To learn more about our River, please visit www.riversoftware.com.